Evermon Homes is 15! When we started our company in April 2003, I spent a lot of time and thought coming up with a Mission and Purpose Statement. I drafted three paragraphs and included most of those 278 words on my first website. Now as I look back at that draft and reflect on the past 15 years, I will summarize our mission here: Evermon Homes exists to glorify God in all our work, to provide for our family and those who work with us, and to give generously. We are grateful to God for allowing us to live out that mission since the beginning. Through the years we have worked with clients who became friends. We have had the privilege of friends becoming clients. We persevered through downturns in the economy and managed to make ends meet. And we have had opportunities to give and invite those we work with to give as well. 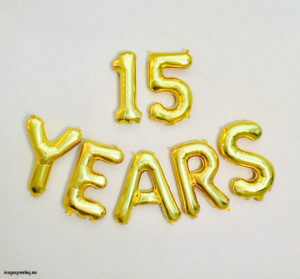 As we celebrate 15 years of business, I want to say thanks to our clients, sub-contractors, and suppliers for the opportunity to work with you. We count it a privilege each day and continue to put our trust in God as He is our provider, our hope and the giver of all good things. Evermon Homes exists to glorify God in all our work, to provide for our family and those who work with us, and to give generously.